Delta Corp’s Death Warrant had been signed by Note Bandi? Novice investors like you and me might be excused for our wrong thinking but the fact is that eminent visionaries like Vijay Kedia had given up Delta Corp for dead. @VijayKedia1 @varinder_bansal sir Ur view on delta,hw long it might take to pick up.cn it b gd long term buy. It is explicit from Vijay Kedia’s reply that he regarded Delta Corp’s business model to have been impaired beyond repair by demonetization and that it should not be touched with even a barge pole. It is at extraordinary times like this that one can really appreciate Rakesh Jhunjhunwala’s genius level of thinking. 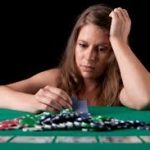 In November 2016, Delta Corp faced not only the disadvantage of demonetization but there was also the mortal threat of Arvind Kejriwal who had vowed in the election manifesto to ban casinos in Goa to “save Goan culture”. So, when Rakesh Jhunjhunwala sauntered up to Dalal Street and grabbed a massive truckload of 1250,000 shares of Delta Corp, everyone (including me) gaped at him open mouthed and wondered whether he knew what he was doing. 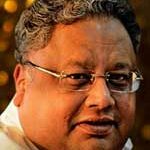 Incidentally, this is the second time that we have seen a glimpse of Rakesh Jhunjhunwala’s brilliance in investing. The first was when he bought Spice Jet when it was in the throes of grave difficulty and was slipping into insolvency. 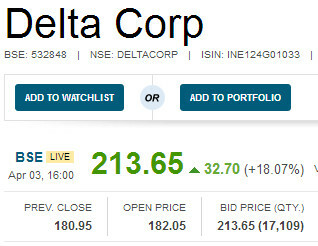 Today, like Spice Jet, Delta Corp has also surged like a rocket, giving gains of 100% + in just a couple of months. Now, the million dollar question as to whether there is any more juice left in Delta Corp is answered by Billionaire Cyrus Poonawalla. 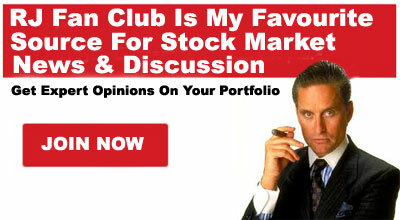 Cyrus Poonawalla is known as much for his astute investing sense as for his flashy lifestyle. In September 2015, he dropped an eye-popping Rs. 750 crore to buy Mumbai’s most expensive residence, the Lincoln House. 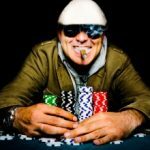 However, the Billionaire is also well known for his business and investing acumen. He was also awarded the prestigious EY Entrepreneur of the Year 2014 for his stellar contribution in providing life-saving vaccines at dirt-cheap prices. Today, Cyrus Poonawalla confirmed the investment worthiness of Delta Corp by getting Serum Institute, his investment arm, to scoop up a massive chunk of 1500,000 shares at Rs. 198 each. At this stage, we have to compliment Chintan Modi of Motilal Oswal for recommending a buy of Delta Corp on 21st March 2017 when the stock was languishing at Rs. 169. He explained that Delta Corp was expected to deliver 35% revenue CAGR, 45% EBITDA CAGR and 62% PAT CAGR over FY17-19E and that the EBITDA would be driven by strong operating leverage. 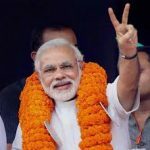 He assured that the stock would see a target price of Rs. 229 which is now within touching distance. Sudip Bandyopadhyay, a well known stock market expert, provided a masterful analysis of Delta Corp. 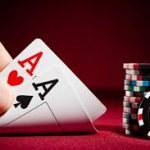 He explained that the Company has shown a spectacular financial performance and that it dominance in the online and the offline gambling space means that it has a very bright future ahead of it. Sudip Bandyopadhyay has projected a target price of Rs. 250 for Delta Corp which means that more gains can be harvested even from the CMP of Rs. 214. Kalpraj Dharamshi, the veteran value investor, has always been bullish about Delta Corp’s prospects, even when it was languishing and was condemned by others as a “failed stock”. 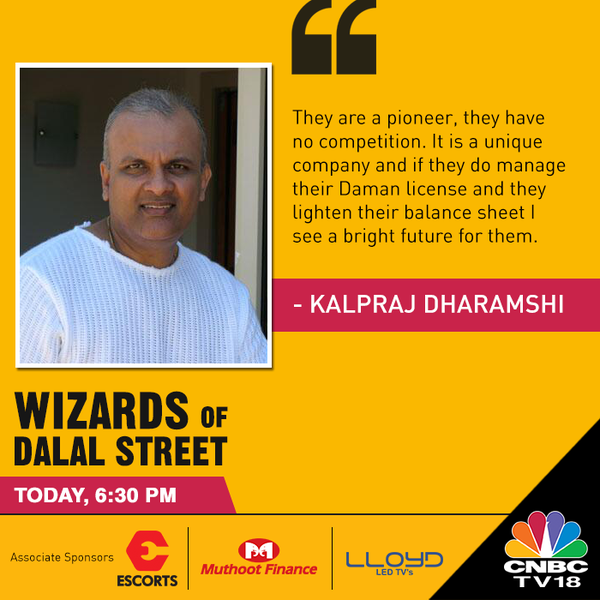 In a talk with Ramesh Damani, Kalpraj Dharamshi had laid bare the reasons for his bullishness for Delta Corp.
“They are a pioneer. They have no competition. 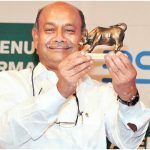 It is a unique company and if they do manage their Daman license and they lighten up their balance sheet, I see a bright future for them,” the veteran stock picker said. Technical parameters showed surge in Delta Corp would come? One aspect which is mystifying to novice investors is whether there is any merit in technical analysis. 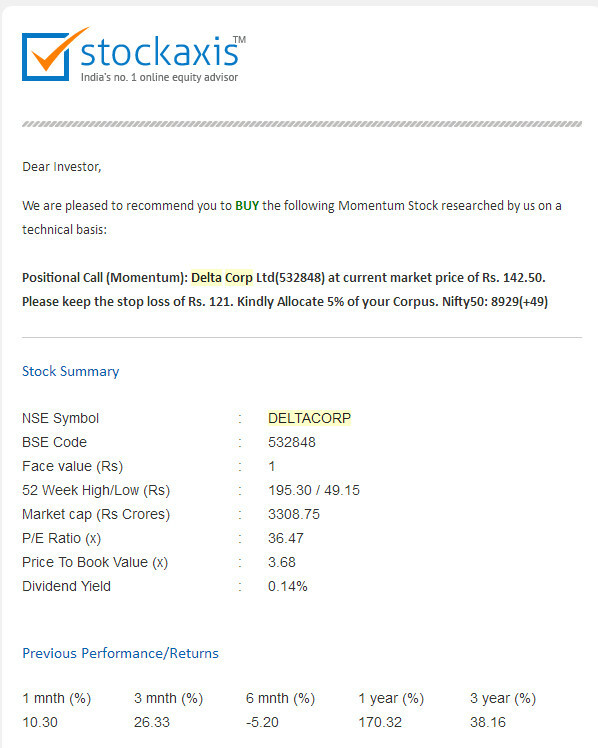 Stock Axis, a stock advisory firm, had sent a recommendation on 1st March 2017 advising a buy of Delta Corp at Rs. 142.50 on the basis that it is a “positional call (momentum)”. Well, the stock has surged and given a mind-boggling gain of 46% in just about a month. Whether this is a pure coincidence or whether there is really merit in technical analysis will require to be probed. The unanimous bullishness of Rakesh Jhunjhunwala and of the other eminent luminaries with regard to the prospects for Delta Corp means that we will also have to keep it in our radar and look for an opportune moment to tuck into it!